Wayne LaPierre, the National Rifle Association's No. 1 mouthpiece, disappeared behind Oz's curtain this morning to condemn the worst video games of American culture. Funny, the NRA made one itself: NRA Gun Club, released in 2006 for the PlayStation 2. Here's what people said at the time. Critic: Brian (Metacritic) • "I'll give it an overwhelming thumbs down." Score: 2. Critic: GamesRadar • "The feeling you get from holding an actual weapon in your hand might grant some intoxicating sense of power, putting as it does the power to end a life in your hands. Of course, the same could be said of a hammer." • "NRA Gun Club may be useful for demystifying gun ownership for wannabe weekend warriors, but it sure as hell doesn't qualify as much of a game." Score: 2. Critic: Ian Nelson (Amazon) • "Perhaps one of the single most horrendous games to ever come from a third-rate game creator." 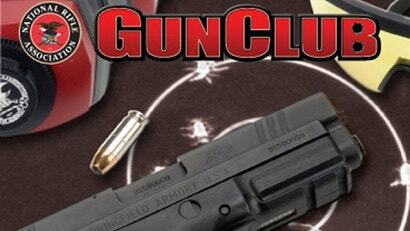 • "NRA Gun Club could very well be the single worst game in the history of games." • "This game is pure garbage, and Crave Entertainment should be as ashamed of itself as I am." Score:: 1 star. "I bought this game for my ten year old and now he wants a gun. He borrowed mine but apparently this game doesn't actually teach gun handling skills and now our cat is dead. Would not recommend this game."